Two holiday homes with plenty of original features that need some love and care and come with . . . This old farm sits in the edge of a village and consists of a main house and approx seven . . .
A three bedroom renovated house with amazing views over the countryside from its integrated terrace on the first floor. Looking for a view!! Then here it is. This house has been well renovated and sits on the . . .
An adorable two bedroom house, which is surprisingly spacious set in a hamlet in the Indre within the Brenne Regional Park. The house has been renovated and well maintained and would make a great lock-up-and-leave . . . Roof recently redone: A three bedroom semi-detached house with a large kitchen in a village near shops and amenities. 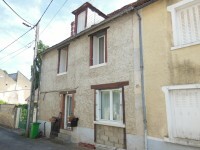 This house is situated on a quiet street in Bélâbre. It has three bedrooms and a large . . .
A very manageable two bedroom house that is not far from the town of Bélâbre and the village . . . 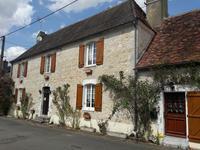 Superb eight bedroom property in the centre of a village in the Brenne National Park! This large property would be ideally suited as a B&B or large family home, as it has plenty . . .
A beautiful detached four bedroom house in the Indre with a terrace with wonderful view across the countryside from the terrace at the rear. This is a well maintained spacious property with a large sitting room and four good sized . . . 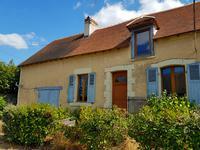 This property enjoys an enviable riverside location in a pretty village in the Brenne . . . Situated in a village that has lots of amenities and close to a town this property is ready . . .
A charming end of row two bedroom house in a village with amenities. Set in a village with amenities and not far from a town. Low maintenance. Great house with character and a lovely courtyard entrance within the Brenne Regional Park.. . . . This house has lots of room. There are two big garages beneath the house for your cars and . . . It could be called the mosaic house as the previous owner had the artistic drive to decorate . . .
A four bedroom traditional house in very good condition that has retained many original features, with a garage and garden in the centre of a village. 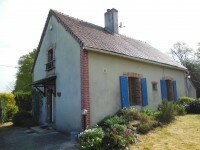 This is a spacious traditional French house in a village that has everything you would need . . .